Welcome to Youth Programs in the Middlesex Fells! This information is designed to familiarize you with the general philosophy of Forest Kindergarten and related programming, and to give you and your child an idea of what to expect. We are looking forward to an exciting season of learning and exploring together! Click on these categories to navigate down the page to those sections. Your child’s learning will be interest-led. The forest will be our inspiration, and we will encourage the kids to explore at their own pace, and according to their own interests. At younger ages, we aim primarily to stimulate children’s curiosity about the natural world, and to develop critical thinking skills through self-guided exploration and problem solving. The instructors will offer opportunities to encourage scientific curiosity by asking lots of questions (i.e. : What do you think that animal eats? Why do you think it has all those colors? Why is this leaf such a funny shape? How long will it take that log to decompose?) 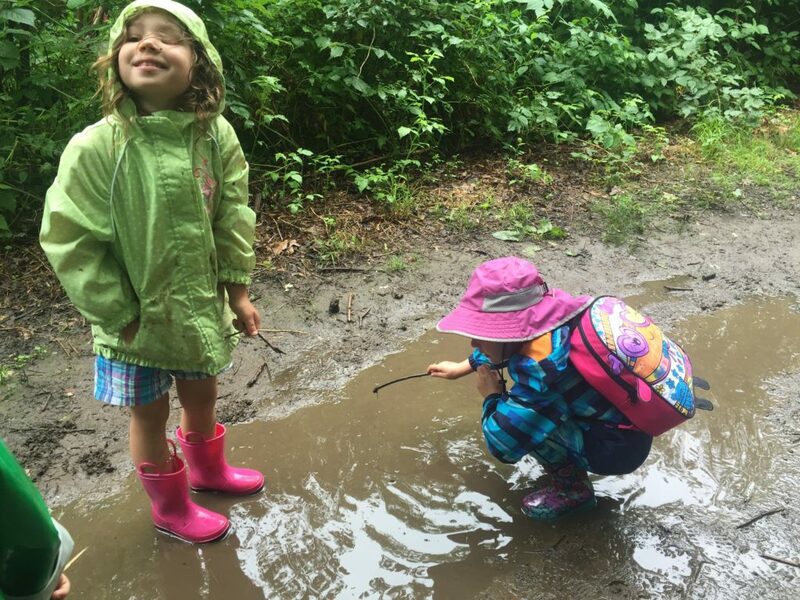 We will always have fun nature activities available to the kids, including bug-catching, bird-watching, puddle-stomping, exploring secret hideouts, and generally running around. But we will not be forcing the children to participate in any specific activities, or scheduling their time (with the possible exception of “snack”). No hitting, grabbing, pushing, or name-calling. A child who has been grabbed (for example) will be asked if they wanted to be grabbed. If the answer is no, they will be encouraged to say so, and their feelings respected. Taking turns– no one monopolizes a game or an activity. If we find an animal, we can pick it up to examine it, build a habitat for it, and show it to our friends, but any animals we find must always be treated gently, and returned to the place where we found it. No picking flowers. We can smell them and examine them, but we must leave them for the pollinators to find! Before you check the “REQUIRED WAIVER & RELEASE” button, please carefully review the following combined liability, first aid & CPR, and photo permission waiver upon dropping off your child. Please note any special needs in the online registration form. Please have your immunization and signed medical records form available to upload. WAIVER LINK -> waiver for web – 2019. If your child needs an EpiPen® (or equivalent), for example, there is a space on the form to indicate that — as well as any other ongoing health issues so we can best attempt to serve your child’s needs. If someone other than a legal guardian will be dropping your child off, we will ask that you let us know. Also, parents/guardians should indicate (preferably on the online registration form) or when they drop children off whether someone else will be picking them up — if they don’t, and someone other than person who dropped them off comes to collect them, leaders will have to call the parent or guardian to confirm. When in doubt, we always check IDs. Finally, we would love to include your child or children’s images in support of our educational and charitable mission. We do have a media release form that is included in our waiver. Thank you! Pick-up and drop-off for Forest Kindergarten and Forest Explorers will take place at the picnic table just outside the Botume House, 4 Woodland Road, Stoneham. DO PARK AT THE BOATING IN BOSTON SITE — you can now park down the middle of the lot! We will have staff on site to direct you, but you need to park laterally down the center strip. See Boating_in_Boston_Parking_Map PDF. DCR requires families to park at the nearby Boating in Boston site (see Google map and Parking_Map PDF) just a quick shortcut away from the Botume House site. If that lot is full, you may try circling the Botume House lot, but there’s minimal parking there, and the DCR insists all families keep the traffic moving. Finally, there’s limited short-term parking in front of the MWRA pump station (see map). Our instructors will be out helping to facilitate traffic flow and parking. 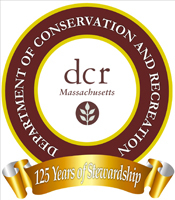 2019 Update – Pick-up and drop-off for Forest Adventurers will conveniently take place at DCR Flynn Rink at 300 Elm Street in Medford, one mile down the road from the Botume House. Summer: Please make sure your child has had sunscreen and bug repellent applied when they arrive in the morning (see also Tick Update and Being Outdoors). Kindly make sure that your child has used the bathroom before you drop them off. NOTE: This year the Friends of the Fells has added a portable restroom at the Tudor Barn — just for summer youth programs. Your child may also bring along his or her favorite bug catcher, magnifying glass, binoculars, field guide, etc., if they are willing to share these items with the other children. We have these on hand, as well. We will take shelter indoors to use the bathroom and in case of heavy rain or lightning, but children will otherwise spend the entire time outdoors — exploring the forest adjacent to Spot Pond or the woodlands at Greenwood Park. 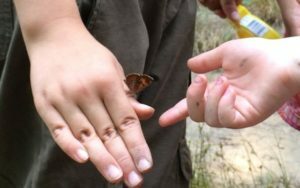 This “place-based” approach to education, where children learn about the natural world in the geographical location where they live, gives them the opportunity to meaningfully connect with and care about the environment. As a consequence of your child being outdoors for two+ hours each day, he or she is likely to get dirty, cold, and/or wet. 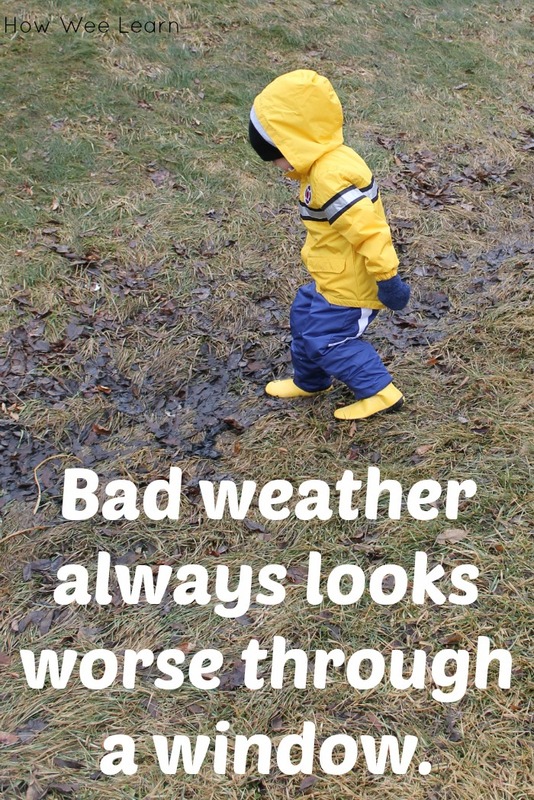 Please make sure your child arrives in clothes that can survive these conditions! *Here is a link to more information about ticks and mosquitoes in Massachusetts. Here is a one-page “Tick Update” PDF with some simple tick prevention tips (providing DEET and DEET-free options). Ticks – Ticks are small arachnids often found in tall grass and bushes from spring through fall. Use insect repellent, and wear light-colored clothing to make it easier to see ticks. Learn proper procedures for identifying and removing ticks. A complete inspection of the body should be conducted to look for evidence of the ticks. Medical advice should be sought if a tick is not easily removed or if you have any questions regarding a potential tick bite. Early intervention is key. Poison ivy – The oil from this plant is irritating to most people, producing an itchy rash that is easily spread by scratching. The response to poison ivy varies widely between individuals, with some being hardly affected while others may have severe allergic reactions. Note – In the Friends of the Fells Forest Program we find taking care to wash the affected area with soap and water immediately after contact helps prevent reaction, see step-by step DIY on Wikihow. 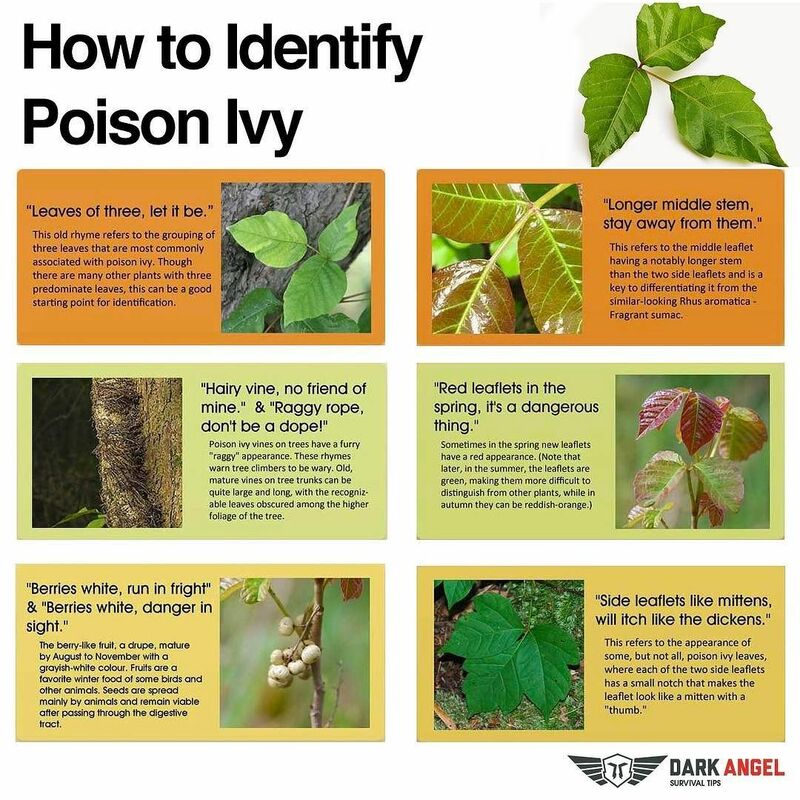 Click image above for some useful mnemonic devices to help identify poison ivy. 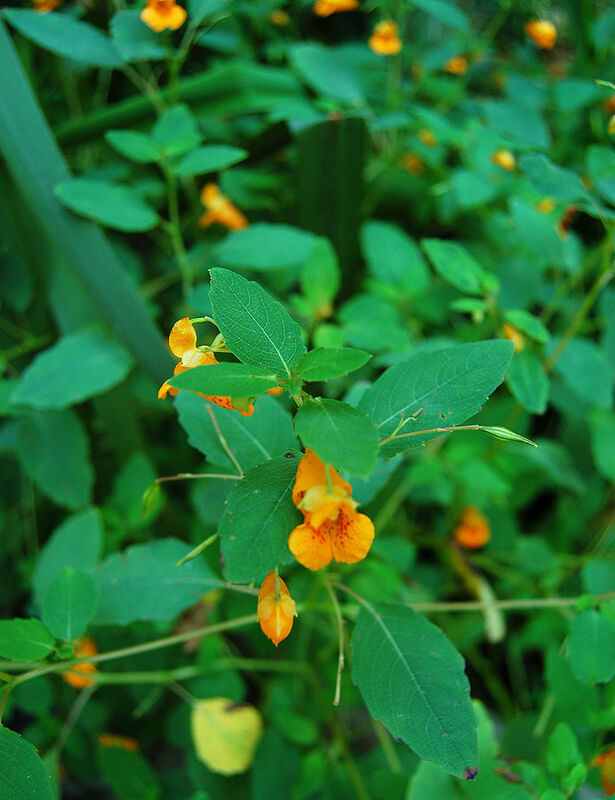 Pictured above, Jewel weed often grows in the same places as poison ivy and can be an effective antidote, so it is worth becoming familiar with. 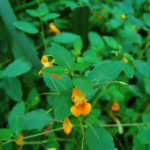 The orange flowers make jewel weed easy to spot, once you learn to identify it. 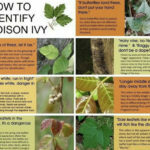 If exposed to poison ivy, the prompt application of oil from the stem of a jewel weed plant may be enough to prevent a reaction entirely, and at the very least will offer significant symptom relief. The treatment of poison ivy dermatitis with jewel weed is a common folk remedy, which dates back to native American medicine [J. Wilderness Medicine]. Our very low student-to-instructor ratio will ensure that the children will be carefully monitored at all times. The class is capped at ten children, six in the springtime, and we will have 2-3 adult instructors. All of our instructors have been trained in CPR/First Aid and have been screened by CORI. We will allow children to climb trees if they wish, but not to heights greater than 2x their body height. Engaging in this low-moderate risk activity will allow the children to build confidence and competence negotiating their physical environment. In the case of emergency or heavy rain, the children will be brought inside the DCR’s Botume House to wait with instructors until the weather passes, or parents pick them up. 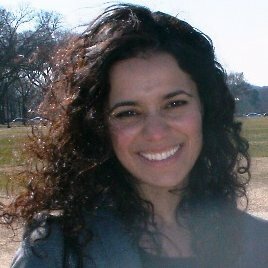 Working with youth and education is one of returning instructor Soumia Aitelhaj‘s passions. She developed strong leadership and relationship-building skills working with international students, leading the group dynamic. She also taught in Malden Public Schools as a substitute teacher, in which she prided herself in creating a warm, harmonious learning environment. She ensured that students were not left behind and used the arts to develop creative lessons plans so that each student’s learning style was met. “It was the Kindergarten age group that I enjoyed teaching the most,” she writes, and we are happy to have her in this role. 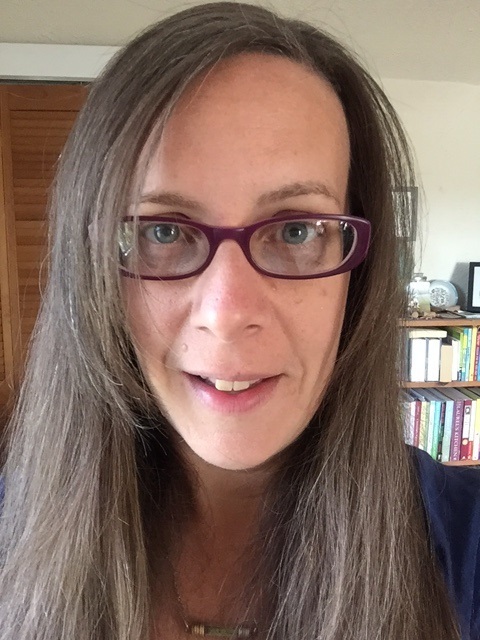 Nicole Dame is excited to join the Friends of the Fells as a forest instructor this year. 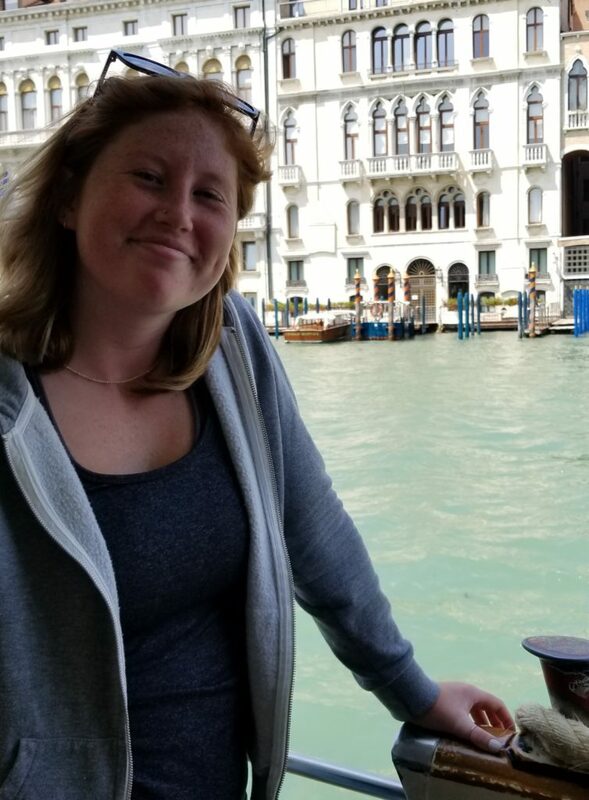 A recent Environmental Studies graduate of Florida’s Lynn University, Nicole enjoys sharing her excitement for learning new things about the natural world with others. Her most recent work experience included tending 40-50 chimpanzees daily at Fort Pierce’s “Save the Chimps” facility, continuing Jane Goodall’s work. 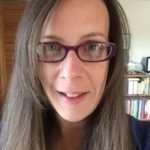 She writes: “It is most meaningful when we create moments of human-animal interaction which can help to better understand our duty to respect all others.” We are delighted to welcome her to the team! 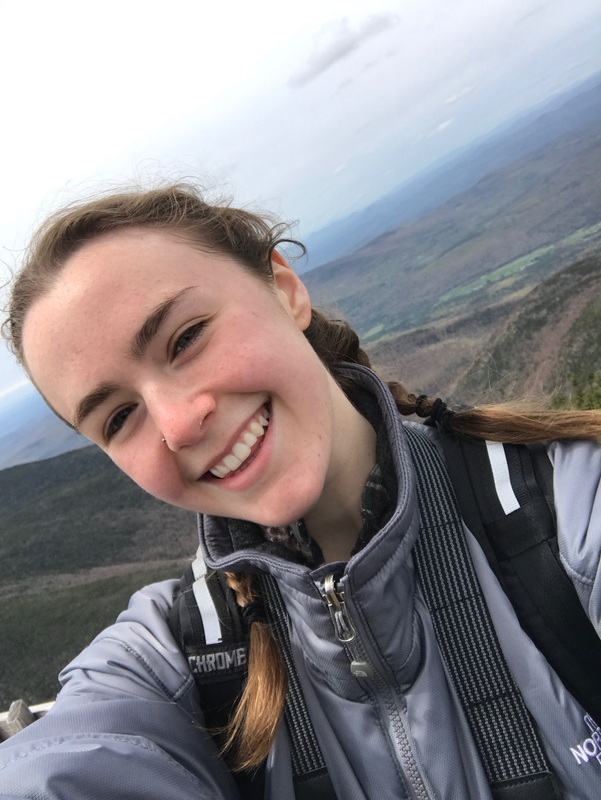 A rising junior at Tufts University, Caro Fett is pursuing a double major in Environmental Studies and Environmental Relations. The latter is a self-designed major which brings together aspects of child development, education, and anthropology to explore the most impactful ways of cultivating environmental stewardship in young people. She is also the Stewardship Director of the Tufts Mountain Club (TMC), and for the past year, she has enjoyed working as the TMC Intern for Students of the Fells. Caro loves spending time with children, being outside, and has a particular passion for New England’s flora. Working as a Forest Instructor is a dream come true, and she can’t wait for all of the outdoor adventures to come! Kelli Hanson is thrilled to be returning for a third summer to Forest Kindergarten in 2018. 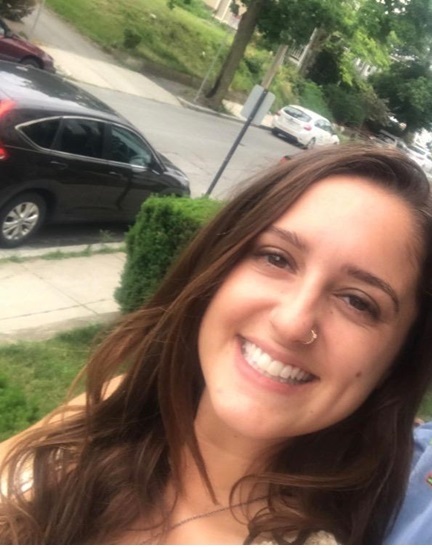 A resident of Arlington, Kelli has a BA in early care and education from UMass Amherst and currently works as a Special Education Teaching Assistant. Prior to that Kelli spent more than a decade as an in-store educator and Healthy Eating Specialist with Whole Foods Market, where she provided guidance to customers hoping to make healthier food choices for their families. When she’s not teaching, you might see her hiking in the White Mountains of New Hampshire or running the trails of the Fells as she prepares for her next trail race. 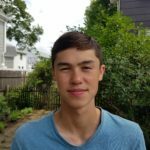 Returning for his second year with the Friends of the Fells as a Medford High School graduating senior, Erik Lam continues to actively participate in the Students of the Fells, a sister organization to Youth Programs in the Fells. Erik has a wealth of experience working with young children, including as youth soccer coach, after-school aid at the Brooks Elementary School, and as volunteer mentor for iCan Bike, a program to help children with disabilities learn to ride a bike using special techniques and assistive devices. A rising Medford High School senior with outstanding academic skills, Mina Lam also belongs to Students of the Fells. In addition Mina has volunteered on the Friends of the Fells’ highly popular “Fall for the Fells” trail race and family fun fest, working on nature scavenger hunts with the children. She has also participated in a 4-hour Eagle Eye Institution Hike-a-Thon / Clean-Up effort and has helped to create bog bridges along Medford High School’s 0.9-mile “Mustang Trail” in the Fells. 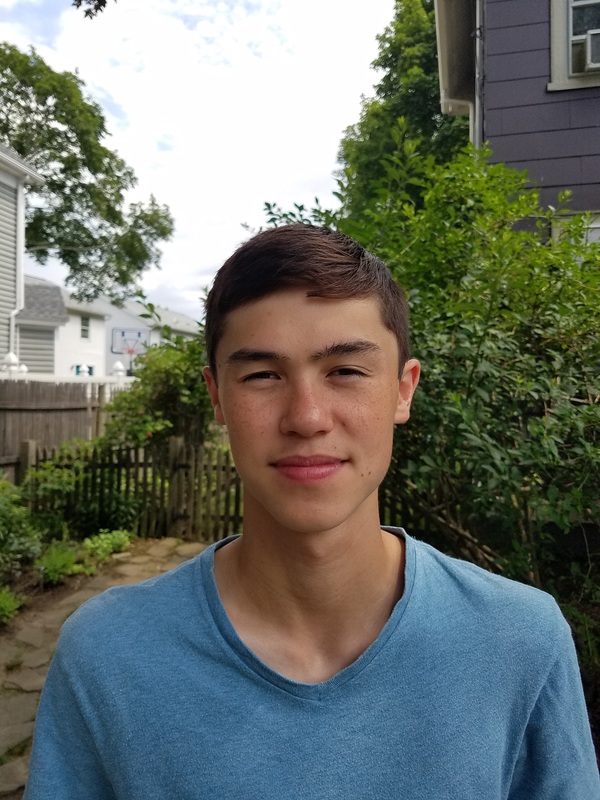 A graduating senior from Melrose High School, Justin Lin joined Students of the Fells at the start of the year. In addition to working with Friends of the Fells youth programs during our busy April School Vacation week, he has also actively participated in nearly every 2018 event hosted by the Students of the Fells. He looks forward to sharing his commitment to the environment with a new generation of children this summer. Kate Pope is excited to begin her adventures with Forest Kindergarten! She has been passionate about the outdoors from an early age and her earliest memories are exploring the national forests in West Virginia. 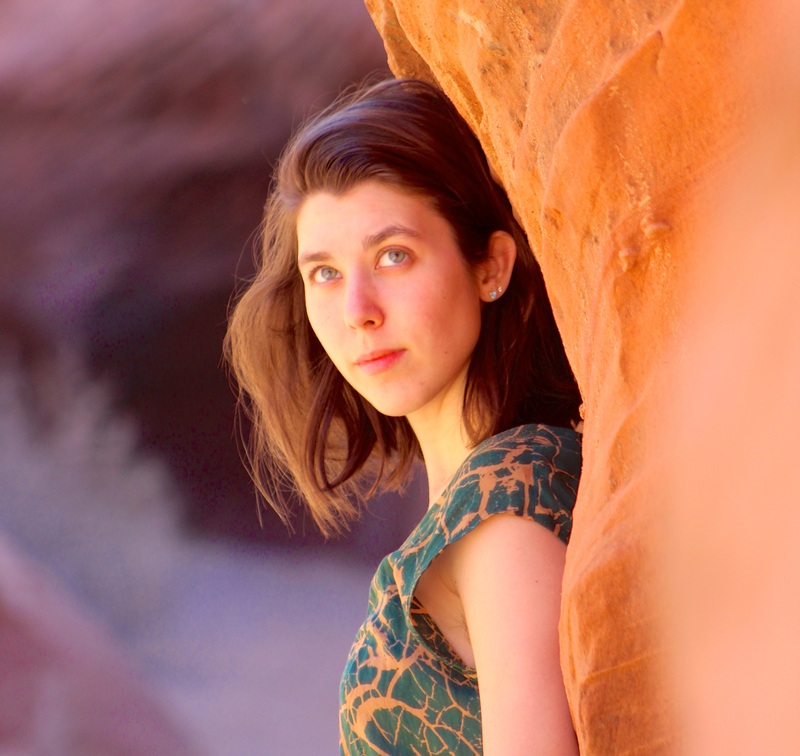 She also has fond memories of hiking and camping across the United States and in Europe. Kate has been working with children in schools and summer camps for the past 7 years and can’t wait to share her experience and leadership with this program. Joining us for his first summer, Jesse MacDonald is a Malden native and a Brown University graduate with a degree in Education and Developmental studies. Jesse has nearly 15 years’ experience in education- both in and out of the classroom. 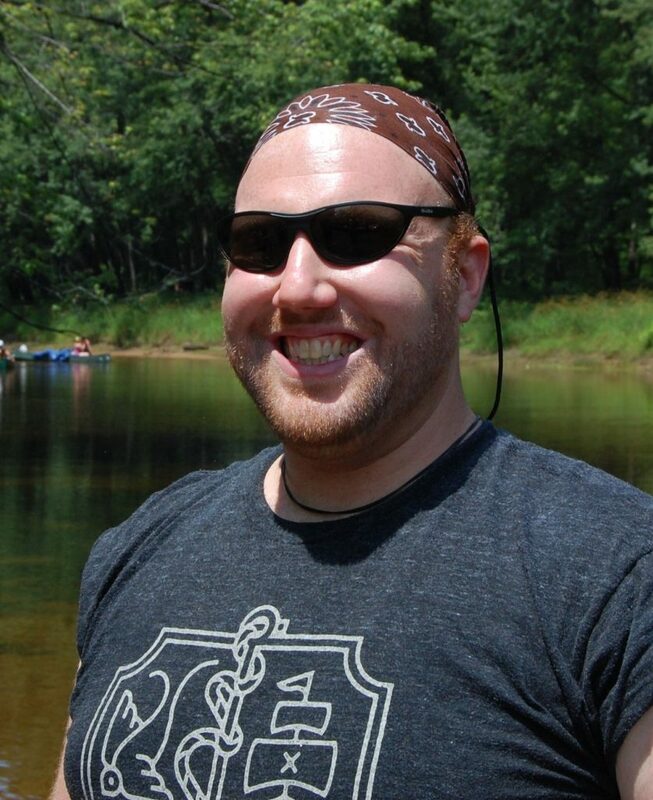 As a teacher and tutor in both the Malden schools and Providence schools, Jesse has worked with children (and adults!) of all ages and backgrounds. 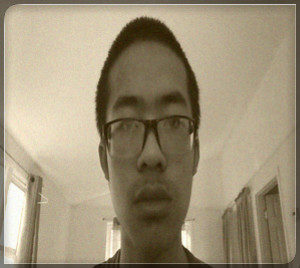 Jesse is also an experienced education researcher, having contributed to research projects at both Brown and Harvard. Most recently, he worked with a number of kindergarten classes in the Boston schools as part of a research team exploring the academic benefits of early education programs. In past summers, Jesse developed programs focused on outdoor leadership and experiential education, environmental sciences, and engineering and other STEM subjects. Jesse has also led outdoor trips across the Northeast, was the program manager for the Brown Outdoor Leadership Training program, and in his personal life is an avid camper, backpacker, and kayaker! A recent graduate of Northeastern University, and returning for her second year with Friends of the Fells, Katra Laidlaw loves to learn everything she can about wildlife and the natural world. The summer she is studying Landscape Architecture at the Design Discovery program at Harvard because she is interested in creating outdoor spaces for wildlife and families to enjoy. She is excited to share her enthusiasm and learn alongside her students during their adventures in the forest. Coming to us from Winchester, Nina DeLellis-Mitch is excited to join in on the fun of being a Forest Instructor! 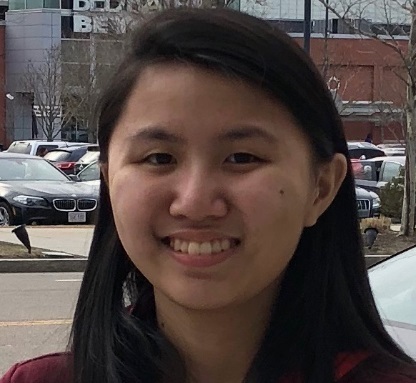 As a student at James Madison University in Virginia, she has focused her studies on environmental conservation, sustainability, and development, and she will be graduating from there this December with a B.S. in Geographic Science. In addition to her passion for nature, Nina also loves spending time with kids and has many years of experience working as a babysitter and a youth soccer coach. She cannot wait to be a part of this program and spend the summer outdoors. 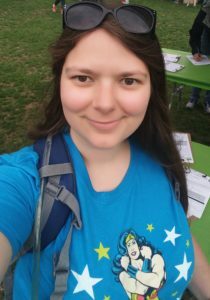 Gillian works with the Department of Conservation and Recreation (DCR) at the Middlesex Fells Reservation as well as a hike leader for the Friends of the Fells. She can frequently be found in the Fells hiking and looking for herons, her favorite type of bird. She especially loves to be outdoors when it’s raining and muddy! Please feel free to contact Ann Frenning Kossuth, Youth Programs Coordinator, directly with any questions or concerns, and thank you again for your participation!